Could the Ascend D Quad be the first to get Emotion? Huawei is set to announce its new overlay for Ice Cream Sandwich next week as it looks to stamp its authority on its Android handsets. This won't be Huawei's first attempt at an Android user interface, with the Huawei Android Platform (HAP for short) already in use on devices running Gingerbread, such as the Ascend G300. In an image promoting the launch event on June 9, little is revealed about the Emotion UI, with just buzz words to go on; emotional, simple and smart. 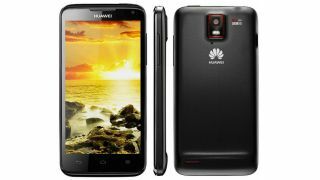 The Emotion UI is expected to arrive in July – possibly alongside Huawei's flagship Ascend D Quad handset. There's no word on whether current Huawei handsets will see the upgrade, plus no confirmation on whether Emotion will even make it out of China, but with the firm's worldwide tagets we are pretty sure that it will. It will be interesting to see how Huawei tackles the user interface challenge. Will it go for the deep integration which we've seen with the HTC Sense overlay, or could we see something much more refined?